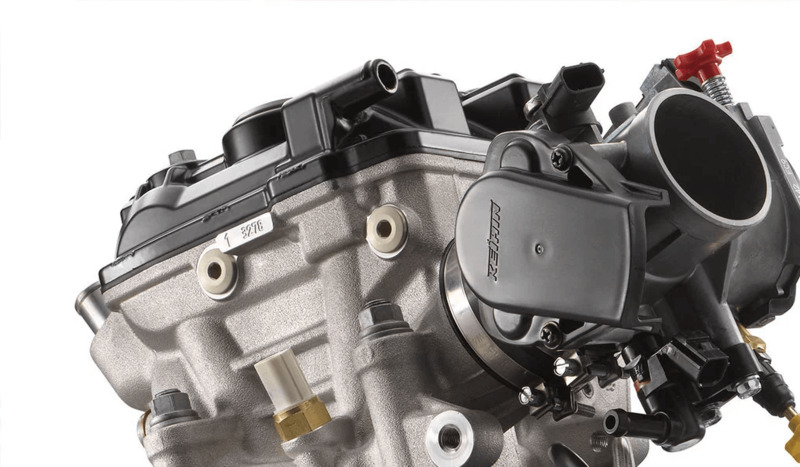 The design of the die-cast engine crankcases allows for a centralized shaft configuration, moving the crankshaft close to the bike's center of gravity. All hail mass-centralization! The engine covers feature an advanced surface structure to reduce the wear caused by the rider's boots. Noise limits are a real challenge for every manufacturer. Therefore, KTM has put a lot of effort into the development of its exhaust systems. All 4-strokes are fitted with a short muffler, mounted as close to the engine as possible. This means more power, extra mass centralization and better rideability. 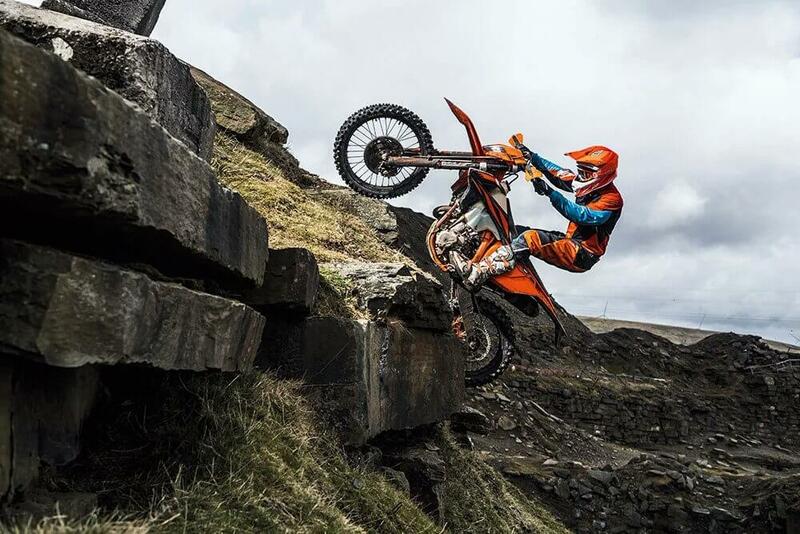 An advanced internal design reduces the noise sufficiently to sit safely below the noise limit, while still providing the engine response and performance that is expected from a KTM. 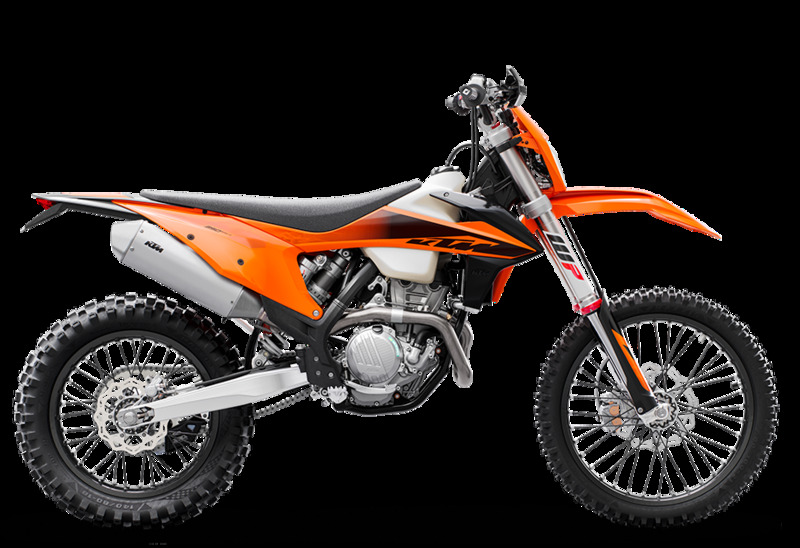 The engine is fitted with a precise 6-speed Enduro transmission, with solid shift engagement thanks to a special low-friction coating on the shift forks. An advanced 'No Dirt' gear shift lever design prevents mud or dirt build-up in the joint for trouble-free rides. 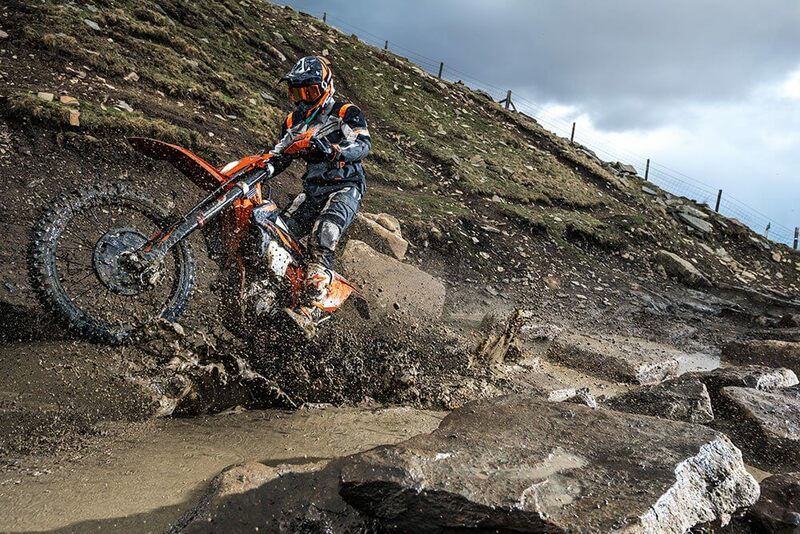 All KTM 4-stroke engines are fitted with a gear position sensor that syncs the power curve to each gear. 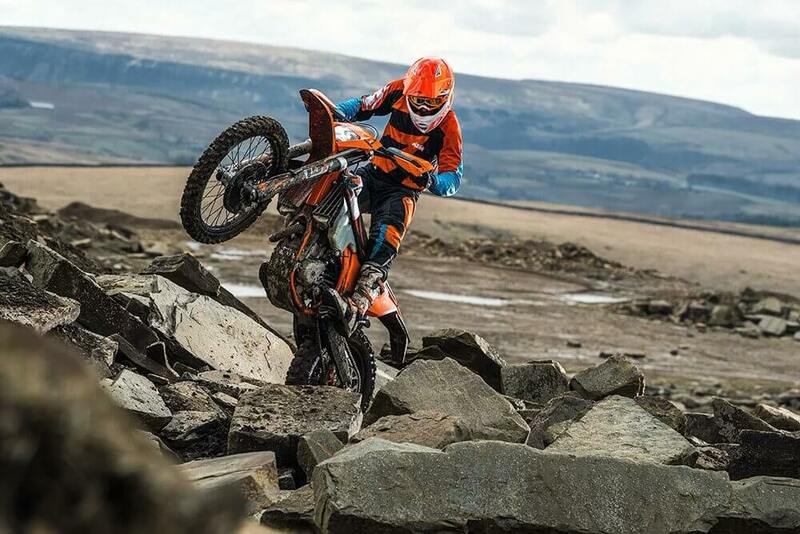 The KTM 350 EXC-F employs the KTM-developed DDS clutch (damped diaphragm steel) with a wear-free steel basket and extremely heat resistant clutch plates and nitrated steel liners. This clever design employs a diaphragm spring instead of the usual coil springs, making for considerably easier clutch action. A diaphragm spring also leaves sufficient space for a damping system to be integrated into the clutch hub. The goal is traction, but durability is as well. Light operation and telepathic amounts of control are standard with this hydraulic Brembo actuated clutch. 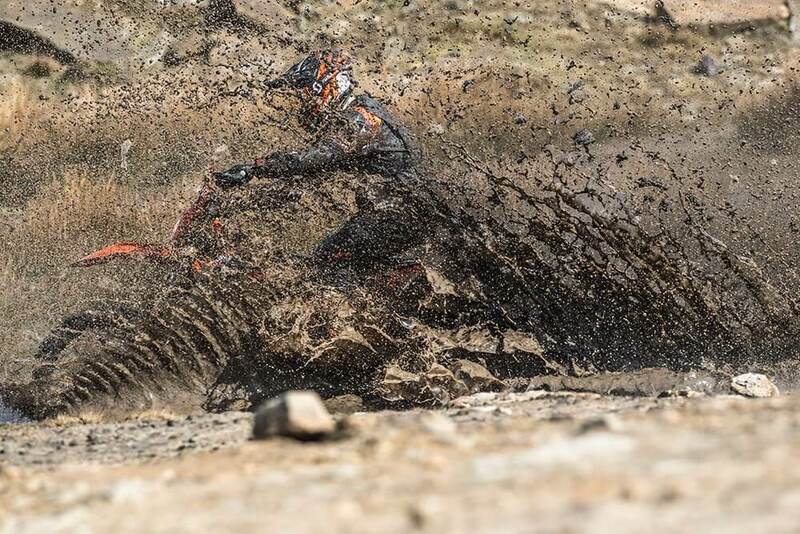 The KTM 350 EXC-F is fitted with a unique E-starter as standard, which is a clear advantage when it comes to crunch time in the heat of battle. A strong starter motor made by Mitsuba will fire time and time again at the push of a button. Even under extreme conditions, thanks to its more heat resistant O-ring.